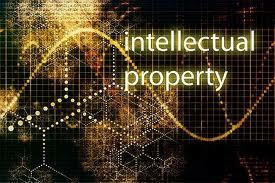 Intellectual property law covers the area of intellectual property. The growth of the value of intellectual property such as trade marks,copyright and domain names has led to small business looking at the law in this area. Intellectual property can, on occasion, be the greatest single asset that a company owns. Intellectual property, like any other form of property, can be bought and sold in a similar fashion. Intellectual property includes trade marks, copyright, passing off, counterfeit goods, confidential information and domain names. There have been many high profile legal battles concerning intellectual property. A recent such battle in Ireland involved Sean Dunne, the property developer and the ownership of the D4Hotels domain name. This involved a legal dispute between Dunne and a former manager as to who was entitled to ownership of the domain name. It is understood that a significant sum of money was involved in the resolution and settlement of this dispute. The fashion designer, Karen Millen, also brought legal proceedings against Dunnes Stores in relation to the unregistered design of garments that Dunnes were selling in their stores. This was interesting from an intellectual property viewpoint as Karen Millen did not register a trade mark for the design in question. However the court recognised her rights in the unregistered trade mark. McDonalds are another high profile company who guard their intellectual property rights jealously. And it is important for small business in Ireland to do likewise as for some companies, the only significant asset that they own is their intellectual property rights…..
whether that is in a trade name, a domain name or copyright. Because you can own a domain name but not own the trade mark for that same formation of words. Intellectual property covers a wide spectrum of commercial activity. A good working knowledge of this area, and how it impacts upon your small business is a must for any serious small business owner. 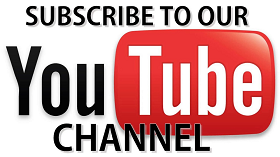 Intellectual property includes trade marks, copyright, domain name disputes, design marks and so on. With the increasing use of the internet there has been a proliferation of intellectual property cases alleging breach of copyright and breach of company’s rights in their trade mark or design. It also encompasses passing off and misrepresentation which is a growing global problem. Copyright and trade marks are property assets like any other and can be bought and sold and many companies guard their intellectual property very carefully and will issue cease and desist letters without hesitation. Domain name registration and the use of trade marks in domain names is very common and there is a grey area here because of the incredible ease with which you can register a domain name..any domain name. What is likely to occur if this happens is that the company will issue a cease and desist letter to the domain registrar and it will in turn advise the registrant of the domain name that they are no longer willing to allow the situation to continue. You,as the registrant of the domain name,will be in a weak position even though there is a question mark over the legality of the situation and you may well be entitled to retain the domain name from a legal perspective. However this will not be of much use to you if the domain name registrar is running scared of the corporation who is threatening legal action.